Bondholder East Midlands Trains is providing the opportunity for school children to experience train travel. The scheme called -Try the Train day' is aimed at giving young people the confidence and skills required to travel independently in the future as well as introducing them to the railway and how to keep safe at stations. Pupils from Abbey Hill School and Watermill School in Stoke on Trent took part in 'Try the Train day' in March. The school children, who have learning difficulties, travelled from Blythe Bridge to Derby where they were given a tour of Derby station and had the opportunity to learn about keeping safe whilst in a train station. The school children were then taken over to the East Midlands Training Academy, where they had the opportunity to try out the driver simulator that is used to train drivers within in a safe learning environment. They also had the opportunity to learn about a career in the railway by spending time with the East Midlands Trains Talent Team. They were taught interview skills and how to write a CV. ‘Try the Train day’ has many benefits; from boosting independence and helping with self confidence, to giving the children the opportunity to experience travelling by train. This gives them more ways to travel now and in the future. Donna Adams, Stakeholder & Community Rail Manager for East Midlands Trains said: “Try the Train day is a great way to break down the barriers within train travel. “The children really enjoyed the day, the train simulator went down very well and we are looking forward to being able to invite more local schools along to Derby station and to The Academy to learn more about train travel, railway careers and gain skills that they can use in the future to aid an independent life”. Bondholder threeguru has been appointed by Table Tennis England to originate a print and digital creative sports national marketing campaign, for the PG Mutual National Championships 2019. After a long-established relationship with British Canoeing and a recent partnership with British Dressage, Table Tennis England are the third British sport governing body to enlist the Derby agency’s creative services. Table Tennis England host the annual National Championships, with the top British players battling it out to be crowned champion. Table Tennis England required two-phases for their biggest marketing campaign of the year; encouraging qualifier’s participation and enhancing public ticket sales. ‘Make your Mark’ filled hidden players with ambition to get involved, whilst ‘Cheer on our Champions’ called upon the home crowd to get behind players including British Olympians and Commonwealth champions, in the family friendly event. The Table Tennis National Championships 2019 took place from 1 st to 3 rd March at the David Ross Sports Village, University of Nottingham and was aired on BBC Sport. For the first time in its history, the event was a sell-out for both Saturday and Sunday’s events. The creative sports national marketing campaign enhanced the build-up to the Best of British event, encouraging a campaign that developed in momentum and elevation. 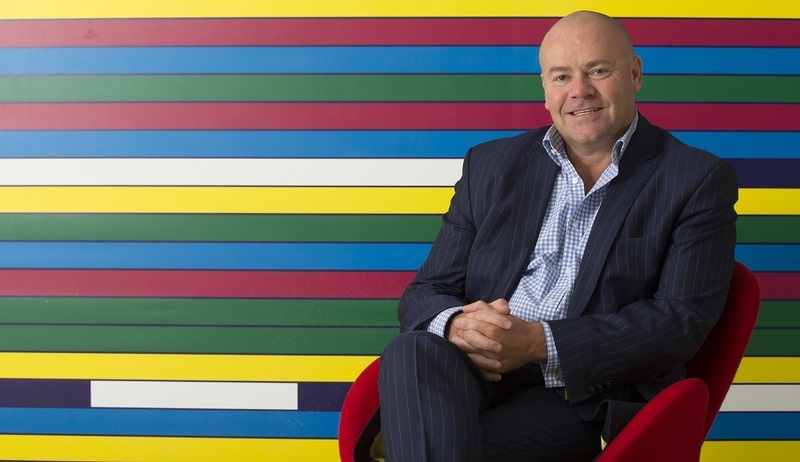 Bondholder Sellick Partnership Limited, one of the UK’s leading independent recruitment companies, has sold a majority stake to Samsic, one of Europe’s largest soft service providers. Jo Sellick said: “Sellick Partnership has enjoyed a sustained period of client and revenue growth and this deal reflects the work the whole team delivers to clients and candidates every day. Our success has been built on building a strong, tight-knit team with a great culture and Samsic shares our people-first approach, which has shone through in our discussions. Bondholder Matthew Montague Architects has designed the recently completed contemporary replacement Dining Hall addition to Grade I listed Bondholder Foremarke Hall Repton Preparatory School. The Architects Practice based in Longford, Ashbourne began working with the school in 2014 to design the replacement dining room. The brief from the school outlined a desire for an inside, outside connectivity with large opening doors and a relationship with the natural environment whilst improving efficiency when serving meals. As one of the busiest spaces in the school, the new building had to be able to serve breakfast, lunch and dinner for over 500 pupils whilst having the capability to host functions and events day or night. Matthew Montague Architects designed an innovative glass and natural stone building with 4.5 meter high glazing to provide panoramic views of the grounds. The dining hall is accessed off a large central corridor with dual queuing to reduce serving time. The largely glass building is topped by a floating extended roof canopy supported by tree-like steels, used to reflect the trees immediately outside the windows and further connecting the building to the landscape. 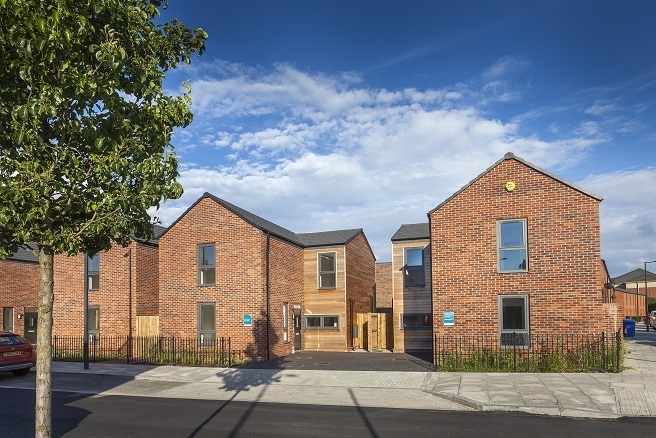 From conception to completion the project took 4 years to complete with an onsite construction period of twelve months, contract value of £2 million. Belper based Derwent Valley Construction Limited were the Principal Contractors for the build. Robert Relton, Headmaster of Foremarke Hall, says: “Everyone who has seen the new hall has been astounded at how such a modern building fits so well within our natural and built environments. It is at the heart of the school’s complex and is a welcome enhancement of our dining facilities. With its great views of the garden it will also provide an amazing venue for some of our events. Come and see it for yourself at a very special Bondholder Breakfast on the 18th June. Keep an eye out for the invite in your inboxes! Bondholder Rolls-Royce Trent 1000 engines have been selected by new Korean airline Air Premia to power 10 Boeing 787 Dreamliner aircraft. The Trent 1000 has powered the first flight and entry into service of every version of the Dreamliner – the 787-8, 787-9 and 787-10 and incorporates technology that contributes to the Dreamliner achieving 20 percent greater efficiency than the aircraft it replaces, as well as having half the noise footprint of previous generation aircraft. Earlier this month, we held one of Marketing Derby’s Big Talks – a small round table of professional experts looking into a single issue in some depth – the session appropriately being held at the impressive Derby YMCA on London Road. The theme was to ask whether housing was actually in crisis or it is the current situation simply business as usual? The conversation was lively, heated even, and will be reported on in the next Derby Telegraph Agenda business magazine. The themes emerging though were so all encompassing that I thought it worth covering off briefly here. A decent secure home is of course is a basic human right, yet the provision of enough homes, in the right places, is one we seem to perennially fall short. It’s fair to say that housing is also a particularly British obsession, as reflected by the daily extensive media coverage of planning issues, prices and interest rates, not to mention the numerous makeover programmes. There are many perspectives on most aspects of housing but one clear consensus is that we are not building enough homes to meet today’s demand. The government target is for 250,000 new homes to be built each year. Now, ask almost anyone if they think there are enough houses being built and I guess they would normally say yes. Any drive around Derby is punctuated by new housing estates popping up on the city’s periphery, most especially on the west and south side. Added to that are the hundreds – soon to be thousands – of new homes in the city centre, first mostly in Permitted Development office conversions and soon in ‘build to buy’ and ‘build to rent’ schemes focused on Castleward, the DRI Nightingale Quarter site and North Riverside. That impression – suburban spread and city living - would be reinforced by visits to any city and that’s not to even mention London where the scale of building is nothing short of phenomenal. Yet, surprisingly, the scale of house building in the UK over the past 3 years is at its lowest volume since the 1920s. In the 1960s we were building 350,000 units per year – last year we build 184,000. Remember, the annual target of 250,000 and you soon see how within any given decade, at current build rates, we are falling short of roughly 1 million new homes. The impact is pressure on existing stock, reflected in inflated price points, over-occupation, poor quality and eventually, and most brutally, in the homelessness we see on our cities streets. What was most interesting in the round table was exploring the question as to how and why did we get to this position? The finger of blame is usually pointed in various directions: difficulty in obtaining planning off Councils worried about voters’ reactions; the collapse of social housing building precipitated in the Right to Buy; greedy developers controlling stock release; shortages in money to build and buy and even to not having enough bricklayers or even bricks. Whichever the facts – and there is probably some truth in each – we do seem to have got ourselves into a classic Great British mess, where many of those who their home sorted thank you very much can often resist allowing others onto that ladder. The solutions lay somewhere in shifting the current practices of government (planning policy and public house-building programmes); industry (new technologies in design and build) and the customer (renting vs buying and changing demographics). Meanwhile, it seems to me that the answer to our Big Talk question is ‘both and’ – in other words, yes we are in crisis but that the crisis is so ingrained that it is actually business as usual. Bondholder CWC Group has concluded another Brexit-busting deal with the MEG Group from Germany, to build a multi-million pound state-of-the-art beverage production facility on 30 acres at Dove Valley Park, Foston. 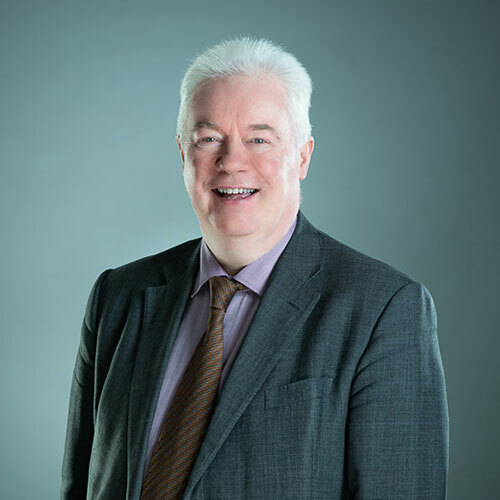 Paul Shanley, CWC Group Director said "We are pleased to have concluded a deal with this prestigious German company introducing yet another Global occupier onto DVP. This is the result of extensive negotiations both in the UK and Germany. We anticipate building works will commence on site early 2020." The new facility will provide both mineral water and soft drinks for the British and Irish market. MEG are designing an environmentally development and production with sustainable use of the environment and natural resources as a top priority., from production, packaging through to logistics. It has been announced today that Bondholder intu Derby has attracted a 50% partner to its Derby mall in a massive deal worth £186.3m. 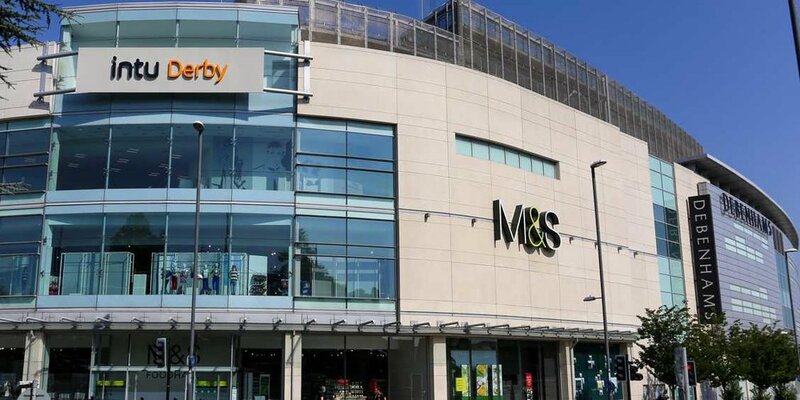 Investment firm Cale Street Partners, which is backed by London-based Kuwait Investment Office, will form a joint venture with intu to run the Derby venue. 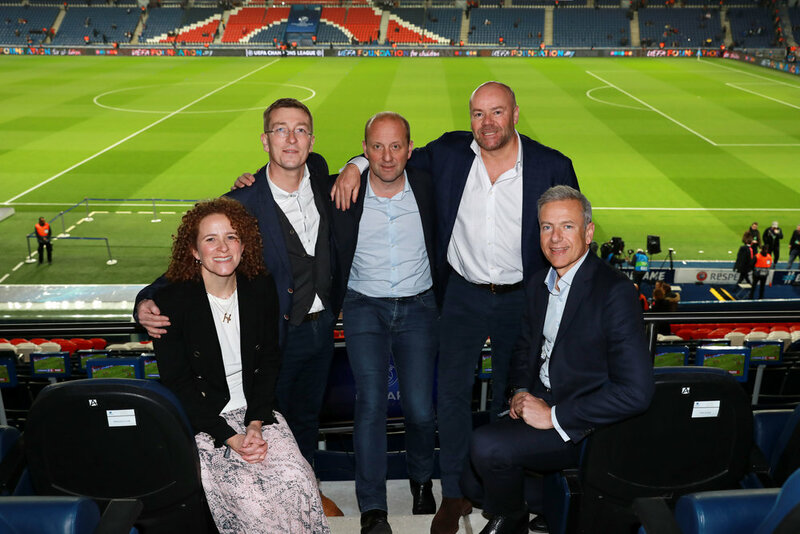 Last month members of the public-private sector partnership renaissance board met with representatives from Cale Street Partners at MIPIM, the world's leading property event in Cannes. Subsequently Marketing Derby held one-to-one meetings in London with representatives outlining the bigger picture for Derby to assure investors and build confidence in investing in Derby. John Forkin, Managing Director of Marketing Derby, said: "This is a big vote of confidence in Derby - these investors really can go anywhere. The investors were very impressed with the public-private partnership here in Derby and we were able to paint a broader vision for the city with many of the developments planned in the area adjacent to intu Derby, including the residential schemes at Castleward and DRI site and mixed development schemes in St Peters Quarter. We hope that that this helped to shape their opinion of Derby." 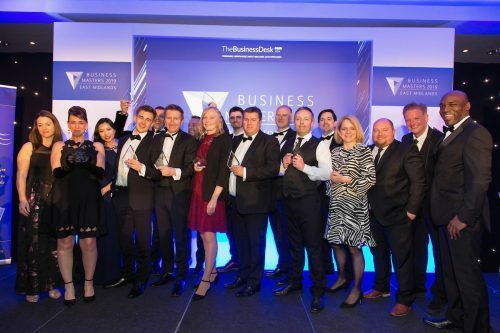 Bondholder Air IT has been crowned as the Best Small Enterprise Managed Service Provider (MSP) at this year’s Service Desk Institute (SDI) Awards ceremony, with Paige Smith being runner-up as Service Desk Manager of the Year. The judging process was tough, consisting of a comprehensive written entry, and two presentation days with the judges. As a finalist in this category, Air IT was offered the opportunity to produce a short video to be showcased on awards night. This was the perfect opportunity to showcase the company mascot Tech Tom’s fresh look and introduce his new side-kick, i-Tina. "We’re honoured to be named as the Best Small Enterprise MSP at this year’s IT Service & Support Awards. As one of SDI’s most esteemed awards, this achievement is a true testament to the team’s hard work, dedication and the unrivalled service we deliver to our clients. "Congratulations to Paige, a well-deserved finalist in the Service Desk Manager of the Year category. This is a fantastic accomplishment and one she should be truly proud of." In just five years Derby Book Festival has established itself as the largest and most successful literature festival in the East Midlands and includes a wealth of talent from great authors, poets, historians, politicians, illustrators, storytellers and musicians. The fifth Derby Book Festival will be held from 31st May - 8th June and will feature over 90 events and activities in venues across the city, including the Marketing Derby Bondholder event on Tuesday 4th June with guest speaker Professor Steve Peters, creator of the ground-breaking mind model Chimp Paradox and author. Bondholders will once again be supporting the Festival with QUAD as the main Festival Box Office who will host many of the exciting events and fellow Bondholder Smith Partnership sponsoring the Festival. Events will also be held at venues across the city including Bondholders Déda, Derby Theatre, Pattonair County Ground, Derby County Football Club and Derby Museums. Four of this year’s family events will be signed by a BSL interpreter, in partnership with Communication Unlimited. Claire Twells, partner at Smith Partnership, said: “Smith Partnership are delighted to again be sponsors of Derby Book Festival and feel sure it will repeat the success of the four previous Festivals. It is now firmly established as an annual event putting Derby firmly on the cultural map with the biggest and most successful literary festival in the East Midlands and contributing to the wider renaissance we see taking place across our wonderful City. The Festival programme will be available from all Festival venues, as well as Artboxes, all libraries and tourist offices. The Festival is organised in partnership with all the major arts and cultural partners in the city. Tickets can be booked on the new website developed by Bondholders Codemakers at www.derbybookfestival.co.uk or in person or by phone at QUAD and other host venues. Bondholder collaboration has led to West Way on Cotes Park Industrial Park in Alfreton reaching full occupancy. PMW Property and FHP Property Consultants have worked together to secure lettings in Alfreton, Derbyshire total of over 100,000ft² in size and further highlight the demand from local, regional and national Tenants around J28 of the M1. Matthew Wrigley of PMW Property commented: “After a short period in having the properties vacant, between ourselves and FHP the site is now back to full occupancy. All new tenancies are companies known to ourselves and FHP, all local companies and all expanding. It is great to see all these local companies expanding like they are especially with so much uncertainty floating around us currently”. Chris Proctor and Tim Gilbertson of FHP Property Consultants commented: “We are working with PMW Property on a number of their units across the region and are delighted to see further success being achieved at Cotes Park Industrial Estate. Horticulture students at Bondholder Derby College Group’s Broomfield Hall Land-based and Leisure college are hoping to continue their winning streak at the prestigious BBC Gardeners World Live show at the NEC this summer. They have again teamed up with the Derby branch of the Multiple Sclerosis Society and a range of sponsors headed by Don Amott Parks to design their entry entitled ‘The Revelation Garden’. The garden is the most ambitious planned by the Horticulture department and measuring 25m by 15m, will be the largest garden at BBC Gardeners World Live which attracts thousands of visitors across four days. The 50-strong group of students have started work on key elements of their design and will then spend two weeks constructing and planting the garden at the NEC ahead of the show which runs from June 13 to 16. After the show, the garden will be carefully dismantled and key elements will be re-built at Don Amott Park’s flagship Lakeside Park near Louth for holiday makers to enjoy. Last year the students won the top Platinum medal for their border ‘The Chronicles of Narnia’ as well as the prize for the best interpretation of the theme in the 23-strong category. The two previous years resulted in Silver and then Gold medals. Derby College Horticulture lecturer Mike Baldwin has 25 years’ experience of creating competition show gardens with students at Broomfield Hall. He said: “This is our most ambitious garden yet and will involve the skills and input over the coming months of around 50 students from our full time BTEC and part time HNC and RHS Horticulture study programmes. Bondholders Future Proof Films and threeguru both scooped awards at the regions biggest celebration of local digital and creative talent - the Mainframe Awards 2019. Start-ups and established businesses were among the 30 shortlisted to be in with the chance of winning across ten categories. With a huge increase in the number of nominations, competition at this year's awards was stiffer than ever. Drew Taylour-Davis of video marketing agency, Future Proof Films, won the publicly voted award for "Digital Ambassador of the Year". Susan Nash from the Marketing & Brand Agency, threeguru took the “Putting Derby/Derbyshire on the Map” award which was one of two categories with the highest nominations. Drew Taylour-Davis, Future Proof Films said "Mainframe is the digital and creative backbone of Derby so it was a huge honour for Future Proof Films to win the Digital Ambassador of the Year award at this year's Mainframe Awards. Every single person and business nominated, shortlisted and lucky enough to win, plays a massive role in our city's creative and digital landscape so for FPF to be a recognised part of that is just incredible". Bondholder Think3 has launched in Derby combining design, development and marketing through digital sources with an ability to understand the customer and astute commercial awareness. Providing businesses with the information, tools and techniques to keep businesses growing and at the forefront of consumer developments. The concept of Think3 originated almost 3 years ago. Forming as an extension to an in-house design, marketing and development team Think3 wanted to share fresh ideas with other businesses to support them grow and achieve their own potential. Whilst the day job continued to take centre stage the concept was put to one side with an ambition that one day, Think3 would be able to ‘make it happen’ and realise the potential it could provide to other smaller businesses, solopreneurs and large national corporate organisations. And so it began, during February the team were approached to provide a full outsourced solution building on the concept and recognising the importance that our 3 core services have to play in supporting business growth combined with the commercial awareness the Think3 team can bring. Being awarded that initial contract allowed the original concept to become a reality, giving up on the day jobs and driving the business forward Think3 can now be introduced to businesses in Derbyshire. 3 - being our core principles that the team use to service every client. Market – ongoing support and commercial awareness to ensure that the customer can capitalise on the products and services provided. From concept to start up within the first month Think3 has already secured contracts in excess of £50,000 with ambitions to grow the business to become one of the UK’s leading outsourced design, media and marketing agencies. Utilising the latest technologies and marketing developments to exceed the expectations from all of our customers. Considering that it has taken over 3 years to get to this point, Managing Partner of Think3, Grant Thompson, said. “I’m proud now to be in a position where we can share with the businesses across Derby and the wider area the creative talents of the team at Think3, we look forward to working in partnership with many of you over the coming years and seeing both our businesses grow”. Bondholder East Midlands Chamber of Commerce has launched a new learning and development forum to help local businesses improve their marketing. Marketing Derby Bondholder and Chamber strategic partner and patron Purpose Media has been appointed as the marketing expert responsible for running the forums along with Annica Digital. Each event will be designed to help businesses owners and people in marketing roles to understand key marketing trends and provide them with a toolkit that gives practical advice that will help them take their marketing up a notch. Both events are free to attend, but places are limited, so booking is essential via the Chamber’s website: https://bit.ly/2H4IEQp. Organisers of Derby Festé have joined forces with Bondholder Derby Cathedral to present a breathtaking attraction in the run up to the city’s popular annual arts festival. 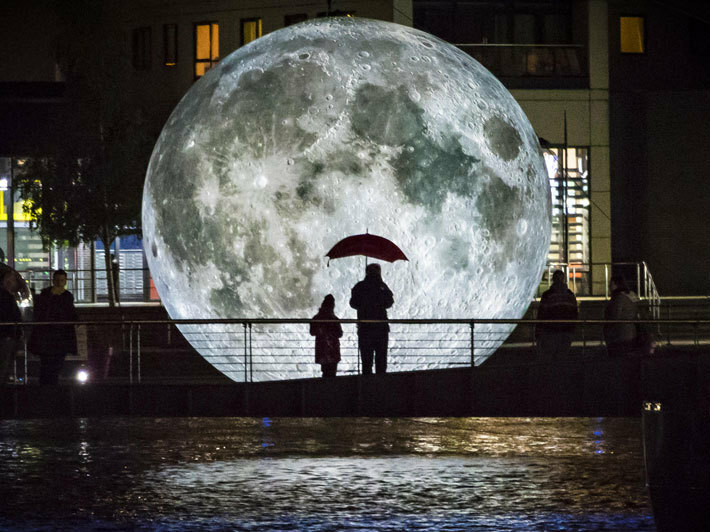 ‘Museum of the Moon’ is a touring artwork by UK artist Luke Jerram and will be installed in the majestic Derby Cathedral for visitors to enjoy before and throughout Derby Festé which will return to the city streets on Friday 27 and Saturday 28 September. Although ‘Museum of the Moon’ will be open to the public from 16 th September 2019, the installation will take on new meaning as part of the spectacular Friday afternoon and evening launch of Derby Festé on Friday September 27th. The two-day festival is funded by Arts Council England and Bondholder Derby City Council with sponsorship from Bondholders Derby Cathedral, University of Derby, Cathedral Quarter and Intu Derby. Stephen Munn, the Artistic Lead of Derby Festé and Artistic Director of Bondholder Déda, said: “The ‘Museum of the Moon’ has been met with rave reviews wherever it has toured and we are delighted that this breathtaking and magical installation will be a key focus of this year’s Derby Festé to set the scene for this year’s theme of ‘Space, Moon & Tides’. The professional cheerleaders of Bondholder Darley Dance Productions will be joining the Elite Ice Hockey League (EIHL) for its showpiece event which takes place in Nottingham this weekend. The PredictorBet Play-Offs Finals weekend will see the top teams from the EIHL battling it out over two days of intense games. The final game takes place on Sunday 14th April afternoon where the winners will lift the trophy and bring to a close to the 2018/2019 Ice Hockey season. The pro cheerleaders from Darley Dance Productions will wearing customised costumes to represent a different team from the EIHL. It’s a busy weekend for the dancers who will not only be cheering rink side throughout the four games but also mingling with fans and sometimes dancing on Bolero square. If you’re going to the EIHL Play Off’s this weekend then be sure to come and say hello to the cheerleaders and if not then follow all the behind the scenes action Instagram at @darleydance. Bondholder and Customer Relationship Management (CRM) software provider Aspire CRM has a fresh new look and a new office. Aspire CRM is an independent consultant for a CRM software provider called Sales Force. It helps businesses within the Midlands streamline their processes and improve efficiency and organisation with the ultimate aim is to make CRM more engaging. The team work with several Bondholders and have been so successful that they have recently taken on a graduate from fellow Bondholder University of Derby. The new look and branding coincided with the team moving to a new office on Aspen Drive in Derby. "At AspireCRM we work with business to understand two things, the business and the customer. This allows us to provide bespoke solutions tailored for a businesses needs and through our partnership with Salesforce, the worlds #1 CRM platform, we have access to the latest technologies including artificial intelligence, no longer will your sales, service and marketing teams be on the back foot! AspireCRM – The power to progress." “Since joining Marketing Derby in 2018 we have seen an increase in growth in this region and we have worked with a number of Bondholders including Cosy and University of Derby who we have worked with on their new Driven scheme, aimed at introducing students into the workplace, providing them with essential real world experience. "